The North Carolina Court of Appeals released an unpublished opinion confirming summary judgment for the Defendant. The Plaintiff had alleged injuries resulting from a collision with a horse on Highway 17 and sued the horse’s owner. The defense was able to show that it was not foreseeable that the horse would escape from his fenced in pasture. In March 2012 the North Carolina Supreme Court denied the Plaintiff’s petition for discretionary review. Following a three-day trial in Bladen County, a jury returned a verdict for less than the Plaintiff’s lowest demand on a claim for personal injuries. The claim arose from a t-bone collision at 50 mph and liability was not in dispute. The defense was able to show that much of the Plaintiff’s alleged injuries were exaggerated or unrelated. Following a seven-day trial in New Hanover County, a jury returned a verdict for the Plaintiff for $20,000. The Plaintiff was claiming over $50,000 in medical expenses and permanent injuries. The Plaintiff presented expert medical testimony and an economist. The Defense presented an opposing medical expert. The Plaintiff requested that the jury award over $500,000 in damages. The defense was able to show that most of the Plaintiff’s alleged injuries were pre-existing and/or were exaggerated. Following a four-day trial in Robeson County, a jury returned a verdict for $100,000 in a case tried by EBM on behalf of a man who had been injured in a collision between a truck and a farm tractor. The defendant had denied liability and refused to make any offers of settlement before trial. Following a three-day trial in Onslow County a jury returned a verdict for $4,500 in a case in which the Plaintiff had claimed permanent injuries and sought to recover $180,000 from the jury. The Defendant has pulled out in front of the Plaintiff’s vehicle, which was approaching at 50 mph. Liability was not in dispute. The defense was able to show that the Plaintiff’s medical expert was not reliable and that his opinions were not credible. EBM represented a homeowners’ association in Onslow County. The Plaintiff, a builder, sued the HOA, claiming that the HOA unfairly denied approval for the construction of a three story house in the development. The covenants restricted houses to being two stories. The Plaintiff argued that, although the house that it constructed contained living areas on three levels, it was no taller than other two story houses in the development. The HOA sought to enforce the two story limitation, as the three story house diminished or could have diminished the value of the other houses within the development. The court agreed with the HOA and enforced the restriction. EBM represented a contractor in New Hanover County. A subcontractor’s employee fell through a hole in the second story of a house under construction and sustained serious injuries. The injured employee sued the contractor, claiming that the contractor should have barricaded the opening. EBM obtained summary judgment for the contractor by demonstrating that the employee contributed to his injuries by his own negligence. The court dismissed the case. Following a three-day trial in New Hanover County over a contractual dispute, the jury returned a verdict for less than the Plaintiff’s lowest demand. Following a trial in New Hanover County, a jury returned a verdict of no damages on three personal injury claims arising from a rear-end collision with admitted negligence on behalf of the defendant. Defense verdict following a four day trial in New Hanover County. 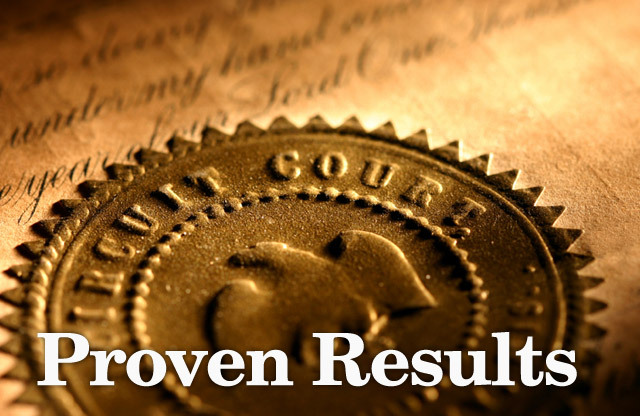 A jury returned a verdict for the defendant finding the plaintiff and the defendant negligent and awarded no damages to the plaintiff. The defendant’s vehicle collided with the rear of the plaintiff’s vehicle. The defense was able to convince the jury that the plaintiff had attempted to move his vehicle from the right hand lane into the left hand lane directly in front of the defendant’s vehicle.